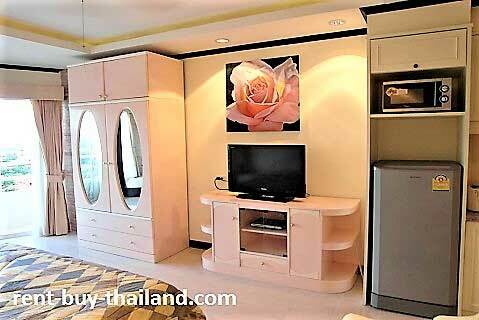 This is a lovely fully furnished ninth floor studio apartment for rent View Talay 1B, consisting of an open plan living/kitchen/sleeping area, a bathroom and a balcony with a sea view. The modern kitchen area is of a European style and is fully equipped with all you need; as well as having an electric hob, extractor fan, kettle, toaster, microwave and refrigerator. The good sized living / sleeping area has a double bed, good storage facilities including a large double wardrobe, cupboards, a display unit and bedside tables. There is also a sofa, coffee table, a flat screen TV, a desk and chair providing work space, and access to the balcony via large sliding doors. The bathroom is fully tiled, has contains a lovely glass basin unit, provides storage space and a walk-in shower. The balcony, which includes balcony furniture, provides fantastic views over the city, countryside and the sea, and is a lovely place to relax. The apartment also benefits from a feature ceiling with concealed dimmer lighting, tiled flooring throughout, curtains, down-lighting, air conditioning and a ceiling fan. 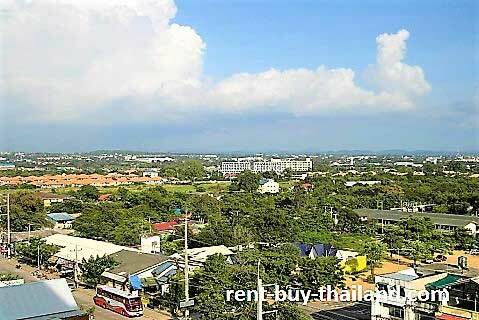 View Talay 1 is located in a great location on Thappraya Road in the heart of Jomtien. 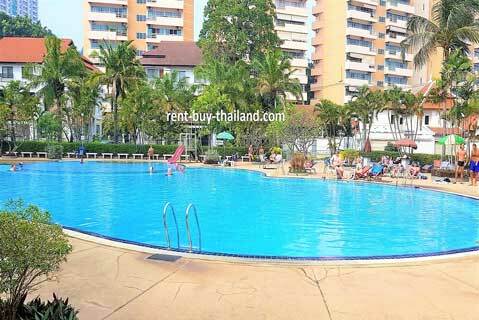 Jomtien Beach is a short walk or drive away, as are some excellent bars and restaurants (both international and local), a large supermarket, shops, a fresh food market and entertainment venues. 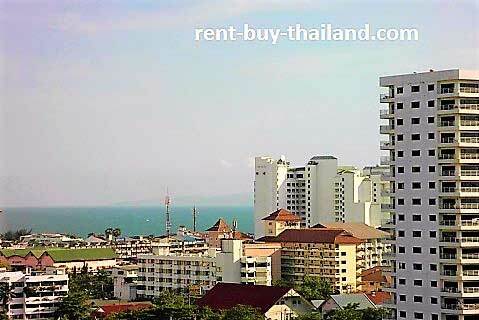 The buildings are on the direct public transport route into Jomtien Beach and Central Pattaya making getting around easy. 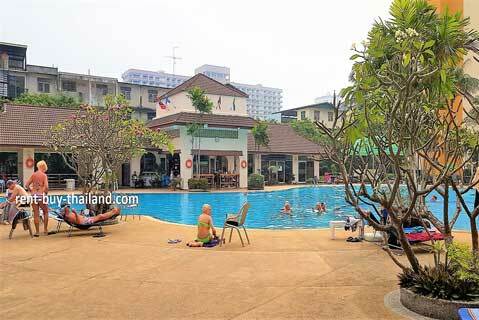 Residents at View Talay I benefit from some great facilities, including: a large swimming pool with poolside restaurant, children's play areas and an outside fitness area with table tennis tables. There is also resident parking, gated 24-hour security, key card entry and CCTV. 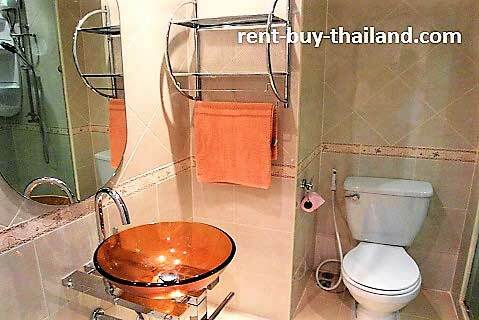 On the ground floor of the complex you can find laundry and cleaning services, massage and beauty parlors, shops and restaurants for your convenience. 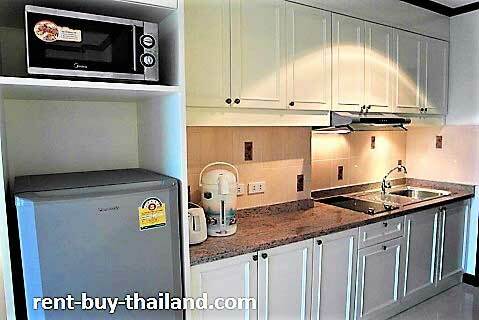 View Talay 1 condos for sale or rent also easy payment plans available - no credit check needed. 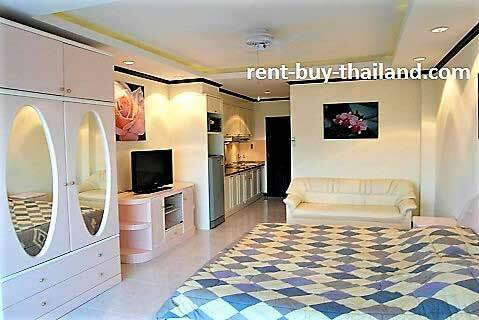 Other View Talay condo rentals available, please inquire for further details.